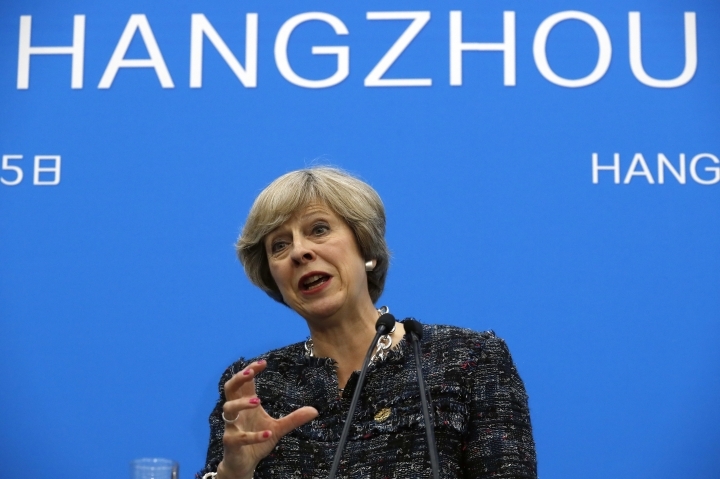 HANGZHOU, China — Britain can become a global leader in free trade as it leaves the European Union, Prime Minister Theresa May said Monday, insisting that the country still inspires economic confidence despite the Brexit vote. Following meetings with various world leaders on the sidelines of the G-20 summit, May told reporters that India, Mexico, South Korea and Singapore said they would "welcome talks on removing the barriers to trade between our countries." 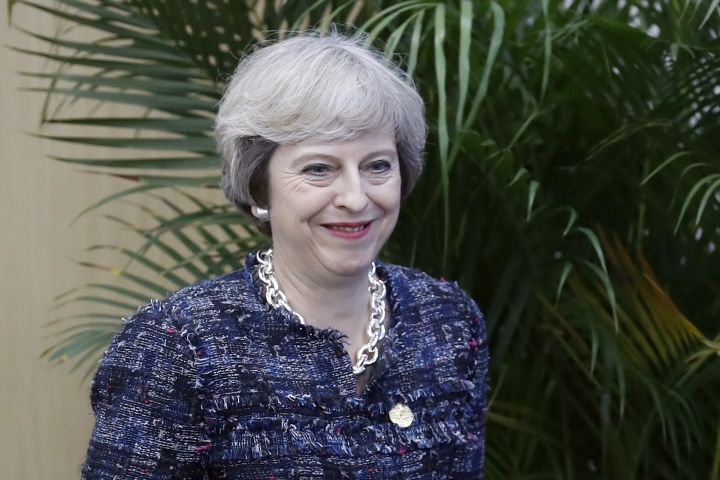 She said the Australian trade minister would visit Britain this week for exploratory talks on the shape of a British-Australian trade deal. 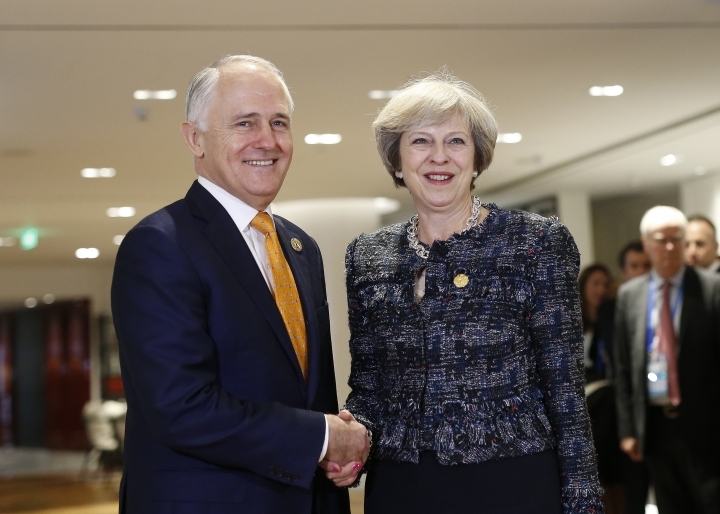 Australia said it wanted to discuss a free trade deal soon after May became prime minister in July, and Prime Minister Malcolm Turnbull told May on Monday that Australia was determined to give Britain "all the support and assistance" it needs as it negotiates its exit from the EU. The United States, however, was less accommodating to its ally, despite the vaunted "special relationship." President Barack Obama said on Sunday that the U.S. remains focused on finishing trade deals with Asia-Pacific and the European Union, before turning its attention to a new, separate trade deal with Britain. The EU, Britain's biggest trading partner, is refusing to negotiate with Britain on the terms of its exit until it formally invokes the two-year leaving process. Japanese Prime Minister Shinzo Abe told May that he wanted her to provide more "predictability" about her plans for a post-Brexit Britain, after his government issued a 15-page dossier listing Japan's concerns for its car manufacturers and other businesses. Japan's ambassador to Britain has warned that Japanese companies could move out of Britain if it becomes a less profitable place to do business. Speaking at a news conference following the conclusion of the two-day meeting of the world's leading economies in the eastern Chinese city of Hangzhou, May said she and Abe had agreed to work together to maintain and build on their countries' relationship. 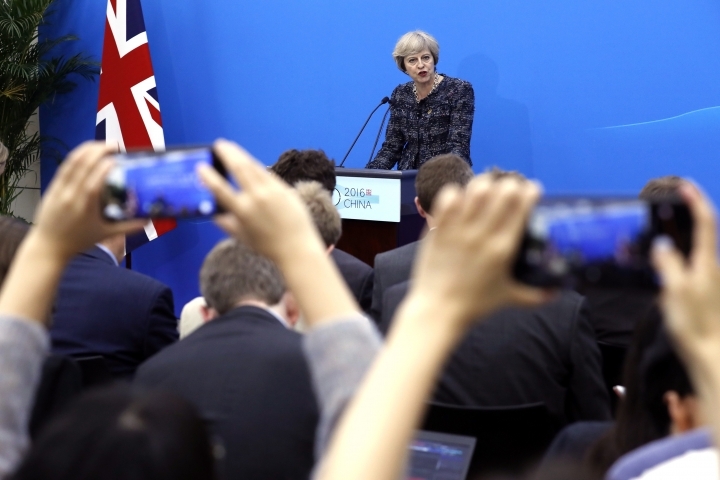 She added that the proposal by Japanese technology company SoftBank to buy Britain's ARM Holdings for $32 billion was "the single biggest vote of confidence we have had in (Britain) in terms of inward investment since the referendum."